At the dialysis unit where my husband is a patient there are some really interesting old characters. If you take the time to chat to them, all manner of fascinating facts emerge about their lives. One such dear man was called Peter. I knew he had been in the navy during the war, and so had my father and my father in law, so we had a lot to chat about. He loved to read and, knowing I enjoyed books, he brought one in for me one day. He told me that he was in this book! It was a naval adventure book based on true incidents. On reading the book I found that he was indeed in it! 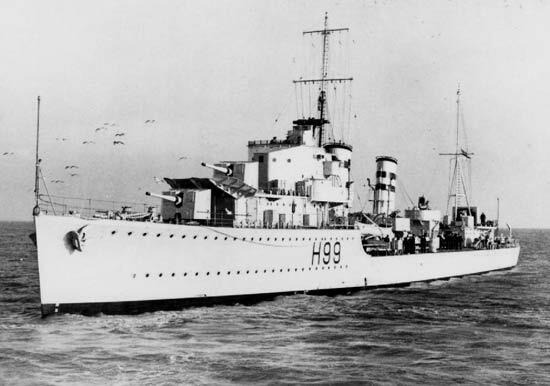 During the war Peter had been 2nd Lieutenant on HMS Hero, a naval destroyer. Coincidentally, the ship had been built in Newcastle on Tyne in 1936 at the Vickers Armstrong shipyard where my father had started work as a 13 year old lad in 1936. Who knows, he may even have worked on The Hero! Anyway, the reason this story fits in with today’s Haiku heights prompt word “Enigma”, is that the Hero was actually the ship that torpedoed the German submarine U-559 which was carrying the Enigma machine and the code books. These were of vital importance to the allies during the war as they enabled the codebreakers at Bletchley Park to give advance warning to the ships in the Arctic Convoys, which were suffering terrible casualties. Briefly, what happened was that on 30th October 1942 an RAF patrol aircraft spotted the German submarine and alerted HMS Hero by radio. When the sub realised she had been spotted by hero, she dived but too late. Hero dropped depth charges which cracked the sub’s pressure hull. This caused explosions and flooding on board the sub and 4 crewmen died. The rest of the crew evacuated the sub as it was forced to surface. The U-559 sub was known to be carrying the Enigma machine and code books so the youngest, fittest and slimmest crewmen from HMS Petard, a nearby ship, were sent to board the stricken sub through the holed hull. These were Lieutenant Fasson, Able Seaman Grazier, and improbable but true, a 16 year old NAAFI canteen assistant, Tommy Brown. They managed to swim to the abandoned sub and get inside. They located the Enigma machine and the code books with all the current settings for the Enigma key and retrieved them. Sadly only one of these brave men survived to tell the tale. Grazier and Fasson drowned when the submarine sank as they tried to get out. Peter, was 2nd Lieutenant on HMS Hero and there is a photo of him in the book. It shows a tall, fit young man with dark hair and a bushy beard looking very smart in his uniform on board ship. Peter died recently, elderly and frail, but thanks to the book his story will never die. 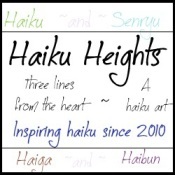 This entry was posted in Haiku, Musings. Bookmark the permalink. Wow…war stories are definitely intriguing and its amazing how people change….v interesting take! There is a movie about this machine called ” Enigma” with Kate Winslett. I enjoyed it. Another great story Brenda . Thank you. Great piece of history set in your personal story. Ah so you probably have lots of stories tucked away in corners of your memory. It is good to remember how much they did for us. I too have had the privilege of hearing many stories of the soldiers who fought in so many battles across the earth during WW2. What heros they were ! Thank you for sharing! Ah it is so good to listen to people’s stories. Lovely to hear from you x I love your poetry. Definitely a turnign point. Nice slant on the prompt. The historical background is interesting. Wow! I am so glad you wrote down his stories! My dad and uncles were in the 2nd world war. It is a wonder to me to discover what older people have done in their lives. It is often a revelation. The thought of creating a documentary which interviews elders has always been in the back of my mind. With the inexpensive, excellent video cameras now available it would not cost much to produce a doc where older men and women would be filmed and their thoughts recorded. The Canon EOS reportedly allows digital video filming that rivals Hollywood. The doc would be simply titled “Elders” and would ask questions such as “What advice would you give to the next generation?”, “How can humanity end war?”, etc. I think a film of this type is overdue and would allow viewers accumulated wisdom. It would have been interesting to watch Peter speak about his life changing experience. Perhaps more people will shoot their own documentaries and allow people to appreciate the true “reality show”. What a great project that would be x it is so sad when older and wiser people die without sharing their learned wisdom. I love to find out what they have done and am constantly amazed.